I’m not big on anniversaries other than my wedding day. I don’t often remember people’s death dates, or my deceased loved ones’ birthdays, or other significant milestones. I prefer to keep my loved ones alive through sharing stories about them with my kids, wrapping myself in a treasured afghan, or trying to duplicate a cookie recipe. But this month is a huge anniversary, one that needs to be recognized, and shared. You see, this month ten years ago my son received his autism diagnosis months after his initial one of PDD. For the first time ever it was official, written on his pediatric charts, used when charting his future educational course. It was the first time we ever used the word “autistic” to describe him to others, said the word out loud, tried it on for size. His diagnosis coincided with a whirlwind of decisions myself and my husband had to make. 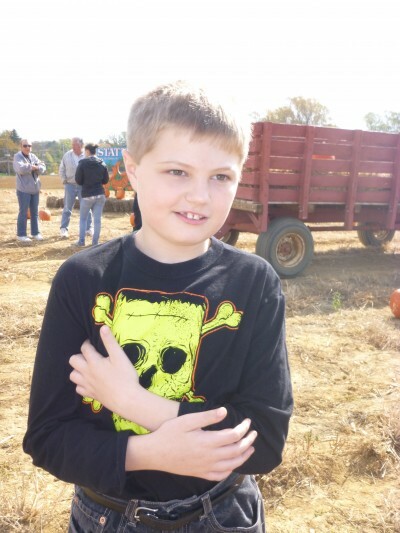 Although our school district was willing to take Justin the following September at the tender age of two-and-a-half, after viewing their program we realized our son would need more, and that he’d never receive it in Virginia. We were also struggling with having only eight hours monthly of Early Intervention services that did not include ABA. We were quickly realizing if we wanted to do our best by our son we needed to relocate to New Jersey, both for their school and Early Intervention services and proximity to our families. I spent hours researching where to live, being forced to go by word-of-mouth recommendations rather than observation as none of the school districts would let me visit prior to moving. We were thrown so many loops, but we asked questions, went online, and soaked up as much information as we could. Ten years later, I am able to look back at so much of what I’ve learned as an official autism mom for a decade, wisdom I’d like to pass on to any of you just starting your autism journey. You will learn that no matter how close you are to people, some of them won’t get your life. You will learn to let them go. You will learn to value your child’s progress in incremental steps, not boundless leaps. You will learn that you can meet your child’s needs, and will exceed your own expectations. You will learn that a part of you will always long for your child to have the experiences of college, friends, independent living, and a partner to love them. You will learn that your child can be just as happy without those things. You will learn about autism more than you ever wanted to know. You will learn to love educating the world about your child. You will learn that you’ll always worry about what will happen to them after you die. You will learn to live with it. You will learn it is imperative you take care of yourself. Your child deserves a healthy parent, and you deserve to be whole too. You will learn that your love for your child knows no bounds. This knowledge will inspire you to do the best you can even when you’re exhausted and afraid. It will carry you through. You will learn, and your child will teach you if you leave yourself open.